We are delighted you are considering applying to become a volunteer with Plymouth Hospitals NHS Trust. The information below explains how our volunteer recruitment process works and what to expect when you apply. Anyone over the age of 16 who is able to help on a regular basis for at least six months can apply. There is no upper age limit. To become a volunteer you should be reasonably fit and active, friendly, a good listener and committed to your voluntary role. In return you will find helping in your local hospital a very rewarding experience! Please take a look at the details about some of our volunteering roles and our task descriptions to see if there are any opportunities that may be of interest to you. Once you have decided which volunteer role you would like to apply for, please complete our Application Form and our Health Declaration Form. Unfortunately, due to demand, we are not able to accept everyone who applies but we will make every effort to match your experience, interests and availability to our current vacancies. This is done by using a scoring system and it is therefore important to provide as much detail about your experience and what you can offer to the volunteer role when completing the application form. If your application is successful you will be contacted to arrange an informal interview with our volunteer coordinator. 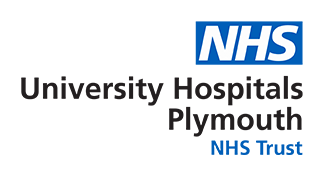 This allows us the opportunity to find out more about you and for you to find out more about Plymouth Hospitals NHS Trust and the role for which you are applying. Following interview, if you are selected for a role, you will be invited to join our volunteer team. The application process includes two satisfactory references, health clearance from our occupational health team and, for many roles, completion of the Disclosure and Barring Service (DBS) check. If you have any health issues, you may also be asked to complete an additional occupational health questionnaire to ensure you will be placed appropriately and safely. If you have had any criminal convictions, cautions, reprimands or warnings, at any time in your life, you are required to tell us. Failure to do so may result in your application being rejected. Once your registration is complete and all the checks are in place we will contact you to arrange a start date. (Please note that the recruitment process can take between six to eight weeks following interview).